Title: Author Publicity Pack: Resources to Help You Take Your Book Marketing to the Next Level. "Publicity: It sounds like something that only big publishing houses can afford to do, yet any author can increase their publicity and their book sales – and do so on a shoestring budget. 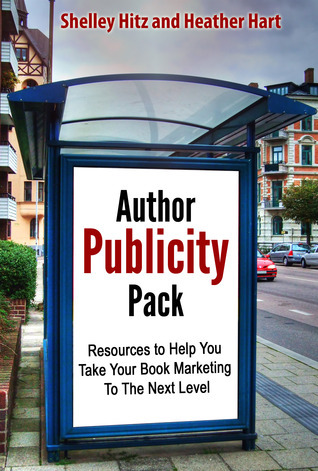 "Author Publicity Pack" will outline over 115 places that authors of all genres can get publicity for themselves and their books. Join us and take your marketing to the next level by publicizing your book. Because we have personally published many Christian books, we have also included 39 additional resources specifically for Christian authors. And in the back of the book, you get access to our bonus 20-page PDF, "Places to Submit Your Free KDP Select Promotion." We have been using the KDP Select program since January 2011 and have seen our book royalties increase tremendously. This PDF shares the process I take for each of my free promotions." This book is a great resource for authors. The layout is easy to follow and it's packed full of useful links.